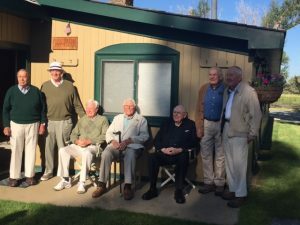 It is an honor and a privilege each year to have this group of gentlemen from California stay with us at Healing Waters Lodge. The oldest is 100 and the youngest in his mid-eighties and a few have been staying at the lodge for about 20 years. They are a breath of sunshine for us, full of energy and good humor; and, could go anywhere on the planet and choose to stay at Healing Waters Lodge year after year after year. Thank you!